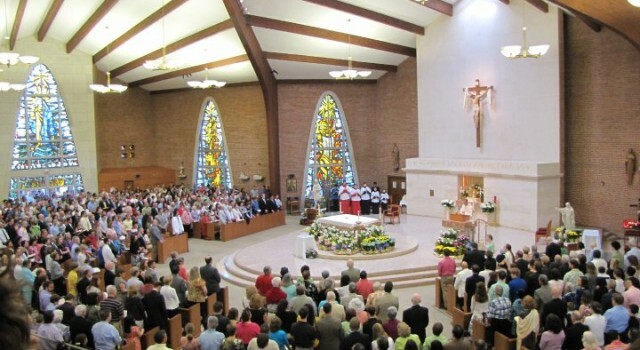 Living the Eucharist is an exciting parish-based renewal experience designed to help parishes foster spiritual growth and discipleship through a more profound experience of Sunday Mass. Living the Eucharist runs during Lent for three years and encompasses the full scope of parish life and spirituality through practical, concrete activities and resource materials. It helps the entire parish—adults, teens, and families—grow in their faith and live as disciples of Jesus who carry out the Church’s mission every day. The materials are available in English and Spanish. Visit www.LivingtheEucharist.org for more information and to order. Visit www.LivingtheEucharist.org for more information.